Vanilla Forums is the best way to setup your own product or brand community. As a lighter-weight alternative to traditional bulletin board systems such as phpBB, Invision Power Board, or vBulletin, it is simpler for administrators & moderators to use. Vanilla is trusted by companies including Acer, Adobe, Electronic Arts, Oculus, and ZTE. 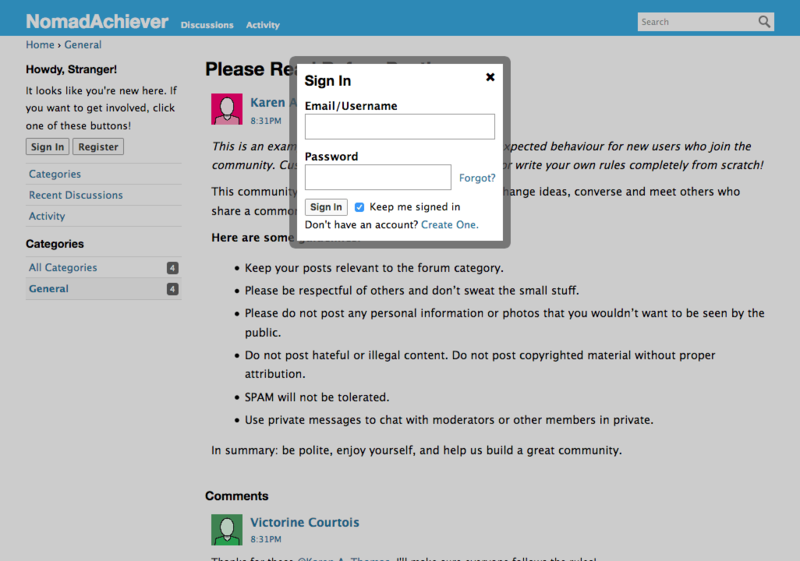 What is the benefit of having a community forum for your company website? A forum, also known as a discussion board, is an excellent means of receiving customer feedback, addressing questions, and accumulating SEO-friendly, user generated content. Vanilla supports single-sign-on with Google, Facebook, Twitter, and other OAuth 2 identity providers, making it simple for your users to join with the logins they already use every day. The best environment for most small businesses to deploy Vanilla is a VPS or cloud instance with one of the cloud providers we work with. Vanilla has specific system requirements, including PHP 7.0 (PHP 7.1 and up, recommended) and .htaccess support in Apache, which can be tough for the non-technical user to navigate. Whereas Vanilla’s hosted plans start from $599/month for 250k page views or more, it is relatively inexpensive to host the open source version on your own server. Organizations can quickly recoup the one-time cost of getting Vanilla setup on their own server by a cloud expert, as the raw infrastructure cost can be as low as $25-75/month for a forum with up to several thousand users. The open source version of Vanilla also allows you to have an unlimited number of staff users, versus a 5-10 user limit on the Business or Corporate plans. A self-hosted instance of Vanilla also has the benefit of supporting all themes and addons published at open.vanillaforums.com, as opposed to being limited to a curated collection by the Vanilla Forums team. Autoize Cloud Architects can help ensure you provision the right infrastructure for the amount of traffic you expect as your discussion board grows. Contact us today and learn how you can add a brand community to your existing corporate website more quickly than you thought. It’s time to start building a community outside of the walled-gardens of Facebook or other social sites, which have a limited SEO benefit and raise questions over ownership of content. When you host your own forum, you can set a Terms of Service (TOS) that gives you full ownership over, or a worldwide, royalty-free license to republish your users’ contributions, instead of being governed by Facebook’s TOS. If you operate in countries like China where sites like Facebook and Twitter are blocked, a Vanilla Forum can also be your best way to stay engaged with those customers.